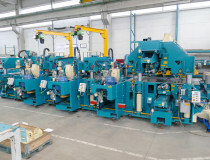 The ROTOLES technology remains No.1 LEDINEK product in the Ukraine market. 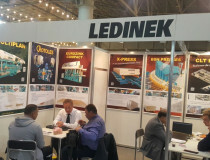 For the 5th time Ledinek was exhibiting in Sweden. 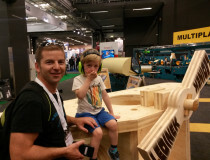 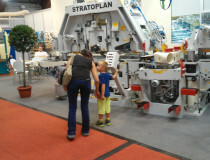 Together with Ledineks agency MOULDEX from Halmstad we were showing our new moulding machine MULTIPLAN. 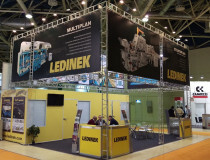 Klagenfurt, Poznan, Krasnoyarsk, The Ledinek salesmen have returned frome some major trade fairs. 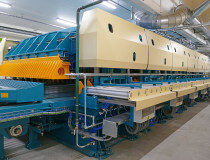 A project for the supply and installation of a laminated beam plant with finger jointing technology for glulam production is currently in the final phase at our longstanding customer Gebrüder Schneider GmbH from Germany.